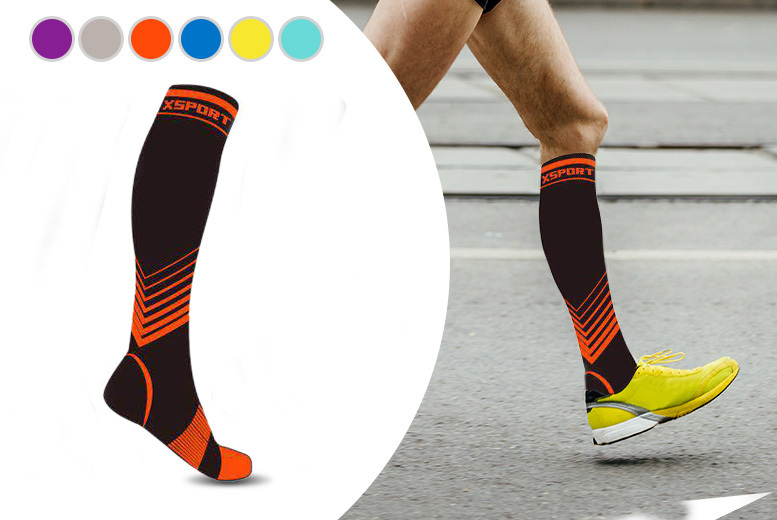 Get a pack of two pairs of fitness high compression socks! Choose between women’s shoe sizes 4-6.5 or 5.5-13. Or men’s shoe sizes 4-8 or 7-13.5. Available in purple, grey, orange, blue, yellow and light blue. Helps relieve varicose veins and leg swelling issues. Increase your blood circulation comfortably!